The president’s daughter-in-law filed in an uncontested proceeding in Manhattan Supreme Court, meaning she does not expect a legal battle over custody of their five children. America’s first family is undergoing a trying time. On Thursday, wife of Donald Trump Jr, Vanessa filed for divorce from her husband. Donald Trump Jr is President Trump’s eldest son and has been married to Vanessa since 2005. A statement on the divorce obtained Thursday night, quoted the couple as saying: “After 12 years of marriage, we have decided to go our separate ways. Also Read: Should Nigeria Be Worried About Trump’s America-First Trade Policies? 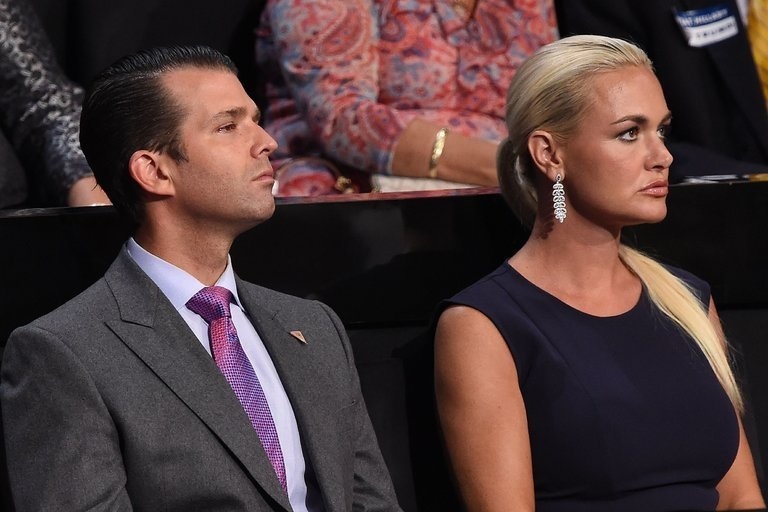 Reports say the president’s daughter-in-law filed in an uncontested proceeding in Manhattan Supreme Court, meaning she does not expect a legal battle over custody of their five children or assets. Reports say the couple has been struggling with marital problems for some time now.